Five people anxiously held their small dogs above ground, the pets squirming in the air, tails wagging away. The announcer counted down from three, and the crowd quieted. Finally, the dogs — Zeus, Lilly, Erle Dibble Jr., Nona and Bonnie – were let loose inside the rectangular enclosure. The crowd screamed with excitement as two of the five dogs ran to the other side of the track. Seconds later, Zeus was pronounced the winner of the 2018 Woofstock Chihuahua race. 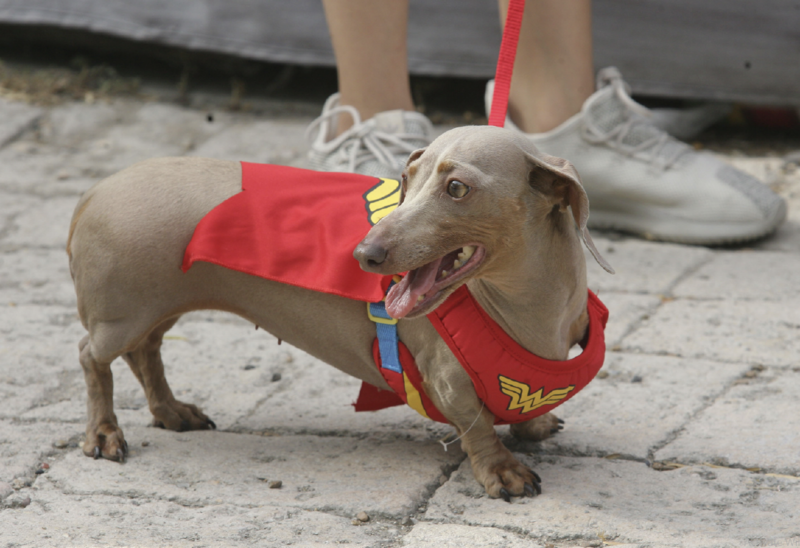 The showdown was one of many attractions at Woofstock, a fundraiser held by Yaqui Animal Rescue at Sophie’s SS Saloon in McAllen on Saturday evening. The family-friendly event, featuring music, food, vendors and activities, was raising money for the homeless animals that Yaqui cares for. 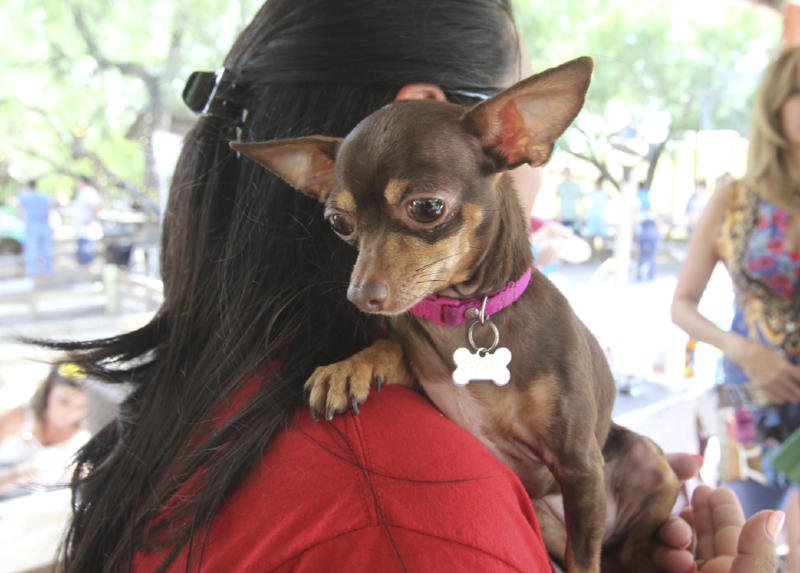 “We’re excited for people to come out as a family with their fur babies,” said Esmer Garcia, Yaqui’s marketing director and the event’s coordinator. Yaqui Animal Rescue is a no-kill, nonprofit rescue located on an 80-acre ranch in Sullivan City whose mission is to “find loving forever homes for as many rescued animals as we possibly can,” according to the organization’s Facebook page. They currently have 200 animals, including dogs, cats, horses, rabbits, pigs, donkeys, cows and turkeys. 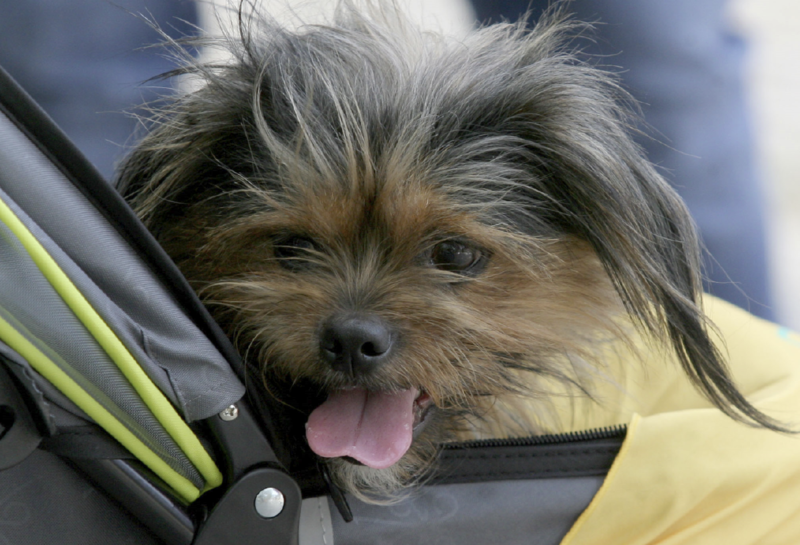 In addition to this being the first Woofstock, it was also Yaqui’s first pet-friendly fundraising event. 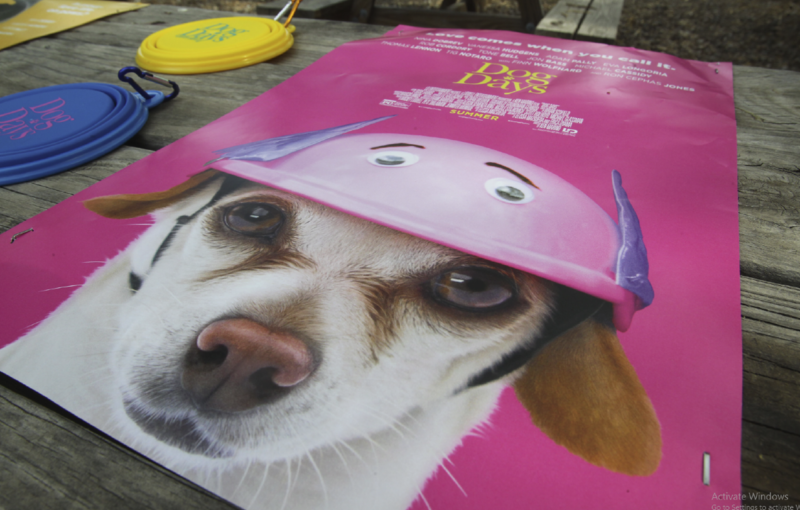 The rescue has other large-scale fundraisers throughout the year, including a golf tournament and music festivals, but this year they wanted to create something that would join people and their pets while raising awareness. The event featured live music from local musicians such as Alexis Chapa and Lox Lux, as well as food from Boozers Softball and Don Pepe’s. Vendors included Novelty Garden, Riff Valley’s, Kundalini Kitchen and Little Giant Gourmet Cheesecakes. One vendor, Uhrbrock’s Art, was selling prints, paintings and other items with images of animals. The artist, Audrey Uhrbrock, said she loved the idea of Woofstock and asked to be part of it despite finding out about it on the same day. Another activity that contributed to the fun atmosphere was the music-themed dog costume contest. The contestants’ outfits included Wonder Woman, Superman, a cowgirl and Chewbacca. Ultimately, the winner was Chuy – a Chihuahua with a sombrero and a tiny zarape. Amid all the games, it was clear that everyone in attendance loved and cared about their pets and the local animal population. Still, Garcia and Venecia highlighted the importance of supporting local places that help animals without homes. “Adopt, don’t shop,” Garcia said, referring to those who buy pets from stores or breeders rather than adopting from shelters.